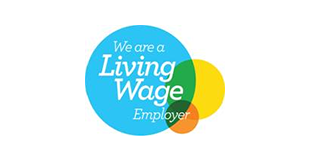 As Salford CVS supports the Living Wage Campaign it is our policy to only advertise posts that meet the Living Wage (currently £9 per hour outside of London) . Please note that Salford CVS are only advertising these job vacancies and are in no way involved in the recruitment process. Operating for over 30 years Lancashire Women (LW) provide a network of four female only centres to provide safe, dedicated female only space for women across the county. We provide a ‘One Stop Shop Service’ for women, bringing together a range of services under one roof, designed to support women who at any one time may be facing a range of issues including social isolation and exclusion, homelessness, poverty, mental ill health, or offending behaviour. To provide operational support to the work of Society Inc. This is an exciting opportunity to make sure All Souls is fully tenanted, offering excellent customer service to tenants and attracts regular room hires for meetings and conferences. The Centre Manager will work with the Community Officer to ensure that the centre becomes the go to place for the local community too for events, activities or just a great place to meet friends for a chat. The Centre Manager will need to build sufficient income to ensure All Souls remains open for the long term. We are looking for an experienced manager to lead the centre. We are looking for 2 STRIVE Volunteer Coordinators to manage the delivery of our STRIVE projects. One position is available in the Harpurhey/Blackley area and one is in Didsbury. STRIVE is an Award-Winning Greater Manchester initiative led by the Office of the Police and Crime Commissioner. It operates across the boroughs by various organisations and is a multi-agency response to improve the support given to families who have been visited by the police due to a low level domestic incident where no crime has been logged. We are offering a fantastic opportunity to an innovative, motivational manager with commercial flair and a proven track record. RSPCA Bury, Oldham and District Branch rehabilitates and rehomes cats and dogs at our Oldham animal centre. In addition, we offer advice to the public plus microchipping, neutering and subsidised treatments to local animals. The NCS Wave Co-ordinators will work during the summer period to deliver a range of activities under the guidance of a Phase Lead. You will work in collaboration with other Wave Co-ordinators to ensure a quality experience for young people accessing the National Citizen Service programme. You will be responsible for overseeing multiple teams of young people and their associated staff members. NCS runs between a Monday and Friday over a course of 4 weeks. You will work collaboratively with both internal services and external partners to facilitate and achieve service objectives that maximise opportunities, investment and revenue generation across the Parks, Leisure and Event Estate. We are looking for someone to help us give out more grants! Do you want to help us to change the lives of more people living in Manchester and Salford? We need an enthusiastic, motivated individual to help us breathe new life into our four grant programmes and to make links with the voluntary and community sector so that we know our grants are reaching those that need it most. Citizens Advice offers confidential advice online, over the phone, and in person, for free. We give people the knowledge and the confidence they need to find their way forward – whoever they are, and whatever their problem. We help with everything from money issues to problems at work, housing to consumer rights. A collaboration of Citizens Advice Stockport, Oldham, Rochdale and Trafford delivers services across four Greater Manchester boroughs, supporting over 35,000 clients with over 74,500 issues. We would welcome applications for a 12 month secondment opportunity, hosted within Salford local authority. Any application requires manager agreement before being progressed. A 12 month fixed term post can be considered, if the applicant is able to start the project lead within 4-6 weeks.